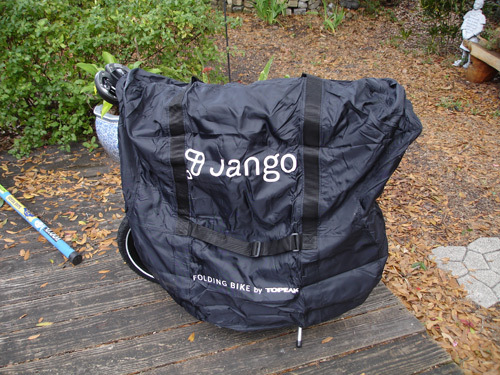 Well, it has been a few months with the Jango, and finally I’ve gotten around to writing a review of the bike. 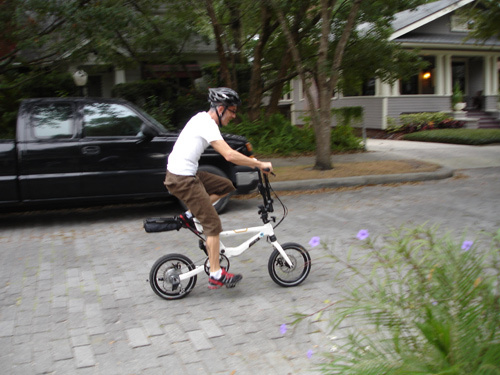 As mentioned in our preview, the Jango is a novel concept in bicycle manufacture and sales. Basically, there are several base models to choose from. 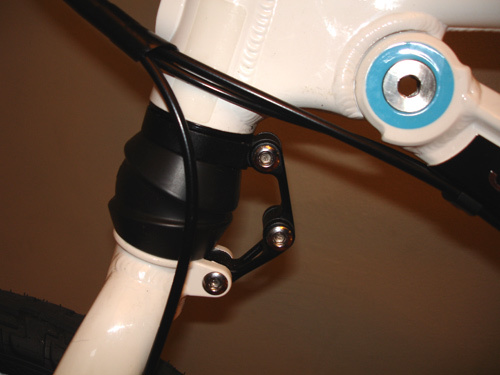 From there, a purchaser can select “trim packages” to suit a rider’s needs, or the base model can be outfitted with a wide range of accessories designed specifically for the bike. In the preview, some people objected to my comparison of the Jango to a car-purchasing experience, but it is really the most accurate way to describe this unique setup. Subtract the pushy salesmen, the cheap suits and the stale coffee and you’ve got a very similar arrangement: choose your base model (from seven different bikes) and accessories (over thirty to choose from), or pick a base model and go with a pre-set package of accessories (there are nine trim levels to choose from). It seems like another bike manufacturer tried something similar back in the 1990s, but I don’t remember any of the details. 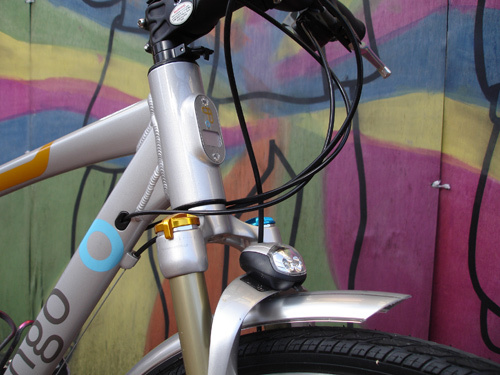 In any case, this model of sales and accessorizing can make real sense — with a dizzying array of bicycles on the market and literally thousands of aftermarket accessories, Jango has figured out a way to both streamline the experience and offer specific tools for a rider’s needs. Select the stuff you want and get riding! 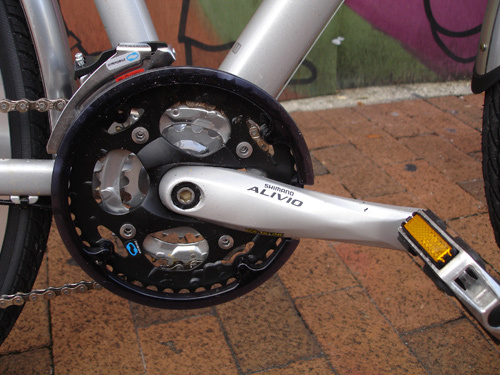 The parts spec for this bike is nothing too exotic….lots of workman-like parts; e.g., the Shimano Alivio drivetrain…nothing fancy but perfectly satisfactory for the job. The drivetrain gave me no problems whatsoever throughout the testing period — clean shifts and easy adjustments once the cables bedded in. That yellow circle is the keyway for a tubular lock. 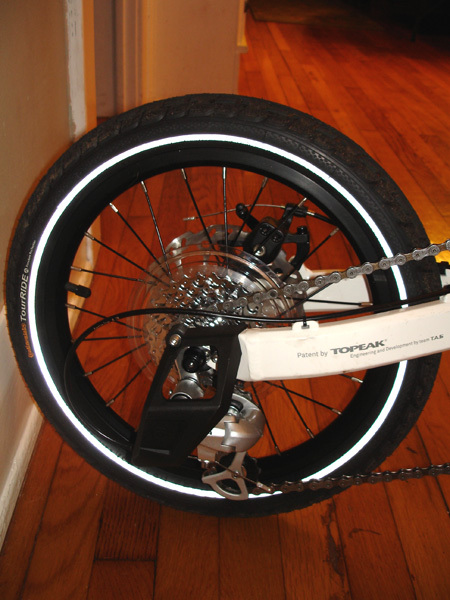 Press the button in the center and a hardened pin goes through the brake disc, immobilizing the front wheel and preventing its removal, even with the wheel’s included quick-release skewer opened. That’s a nice touch and provides a little measure of extra security. 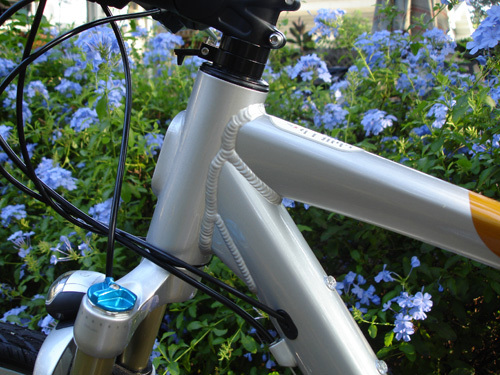 The aluminum frame of the bike is strong yet fairly lightweight…7005 aluminum alloy with nice welds throughout. Styling-wise, the bike looks very “concept bike” — something you might see over at Bicycle Design. I wasn’t too big a fan of the “look”, initially, but I grew to like it over time. It’s snazzy without being overly flashy, and the logos and decals are fairly subdued. 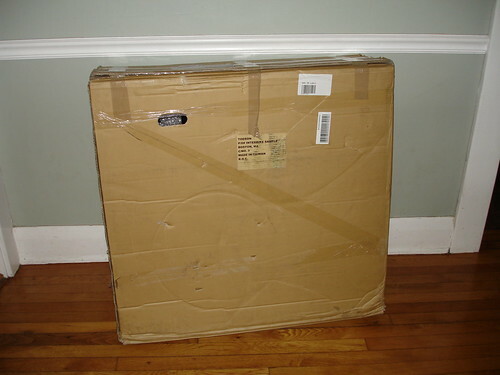 The frame isn’t “buzzy” as some aluminum frames can be. 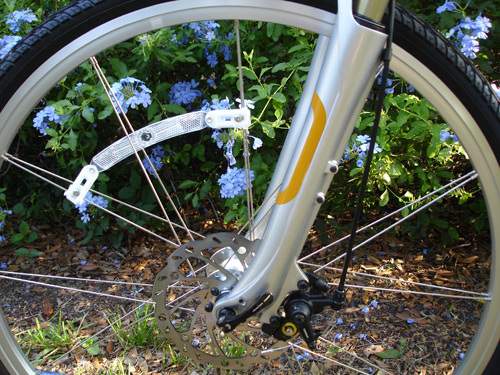 The frame feels stiff enough, but the worst of the road chatter is eliminated by the included suspension fork. 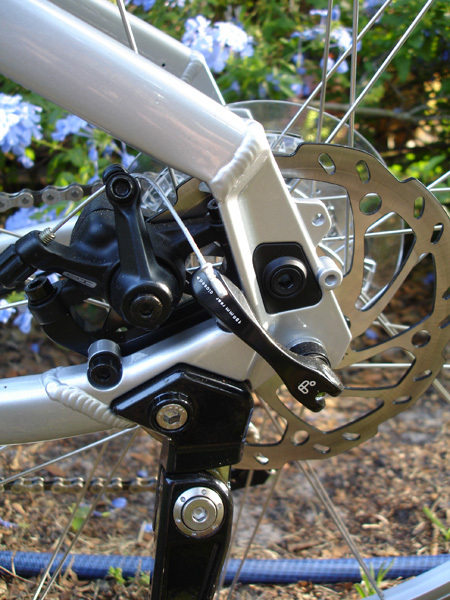 To me, such a fork can be gimmicky on a commuter bike; a lot of extra weight and complexity for little benefit. 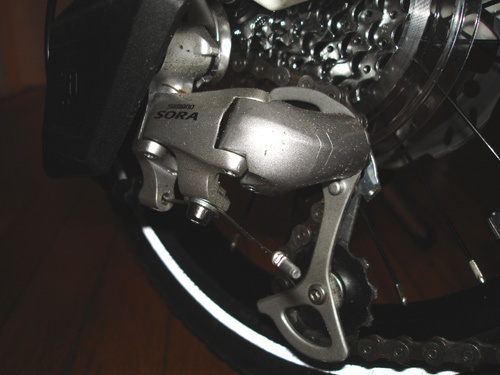 If it smooths out some of the road imperfections, though, it can be worth it for many riders. 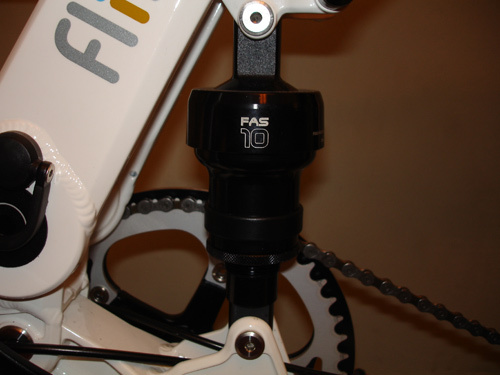 This fork has adjustments for preload and can be partially- or fully locked out to reduce bobbing while pedaling. All that being said, I had no problems with the wheels — they stayed true and rolled smoothly throughout the testing period. 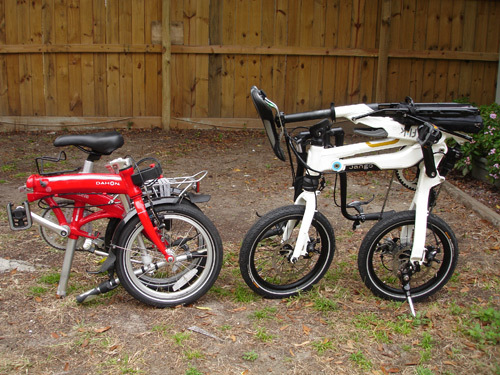 Tampa has notoriously rough streets, so they provide a fertile testing ground for evaluating the durability of wheels. 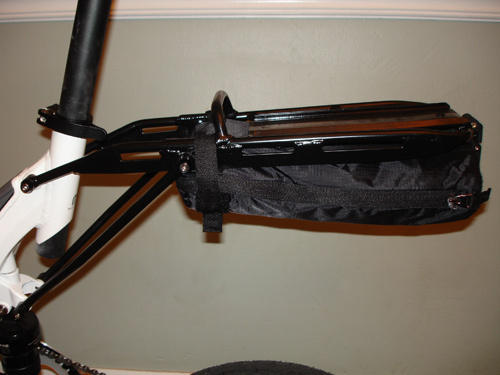 The frame is set up, like many other bikes billed as “urban” or “commuter friendly”, to give the rider a very upright position. Coupled with the big 700c wheels, it is a confident machine — plenty of above-traffic viewing possibilities and speedy rolling with the big wheels. 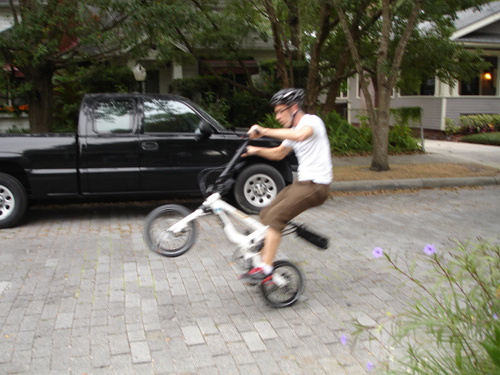 I tend to prefer a slightly more aerodynamic position on my commuter bike, though — in wind, an upright riding position is like being a human sail and robs a good bit of forward momentum. It gets pretty windy here, particularly in the cooler months. Using the adjustable stem that comes stock on the Jango can help dial in a bit lower position, but for the most part we’re stuck…short top tube and deeply-sloping frame geometry limit what you can do to get more “aero”. One part of the bike I didn’t care for at all was the saddle. Those of you familiar with my bike reviews know that I often take issue with stock saddles…many of them don’t suit my anatomy. 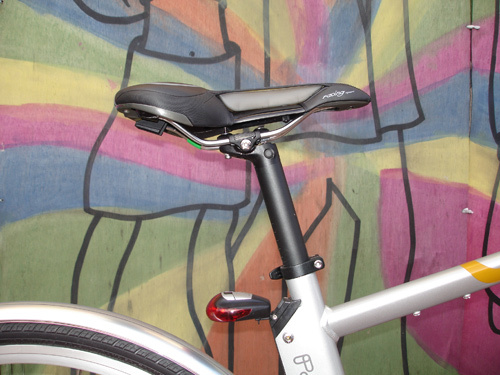 The stock saddle is a Topeak “Allay” model, which has a user-adjustable air bladder to fine tune it. For me, no amount of fiddling with air pressure made the saddle comfortable to ride around on for more than a few miles. It’s a easy swap to a more suitable saddle, however, and like other bikes I’ve tested, I’m not going to give negative marks for something that is a very personal choice. 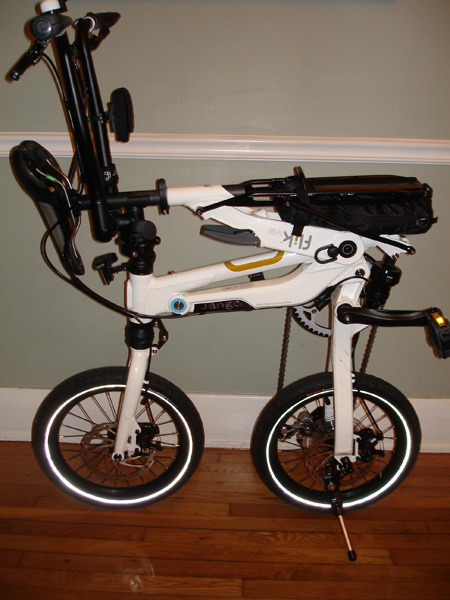 Overall, the bike is configured in a way that may make it quite suitable for urban and commuting use. 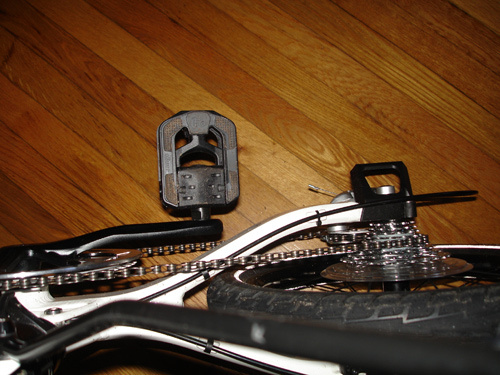 Still, there are a couple of concerns, such as the wheelset. 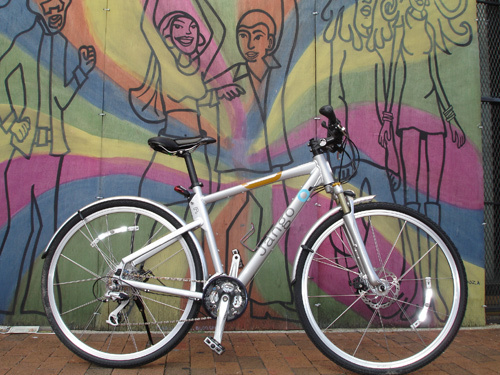 Mostly, though, the Jango 7.1 is a stylish bike that has many of the features we’ve come to appreciate in a capable around-town bike and comes stock with a couple accessories (integrated bell and both front and rear LED lights) to make it more user-friendly. 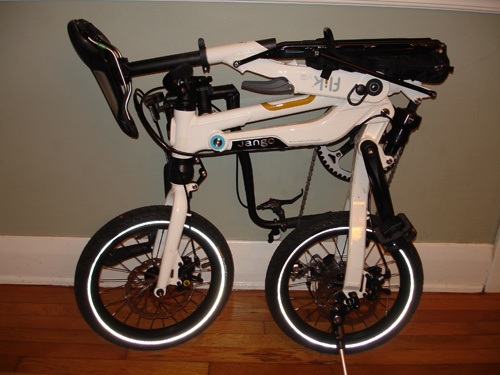 Add in some of the other accessories Jango/Topeak offers and this could be a real winner. In the next couple weeks I’ll have a review of an assortment of accessories for the Jango. In the meantime, swing on over to Jango’s site to see what’s available and to take a look at the other bike models and trim packages on offer. Please stay tuned! Way back at Interbike 2007, Moe spotted an intriguing line of bicycles new to the market…check out his photos from back then by clicking here. 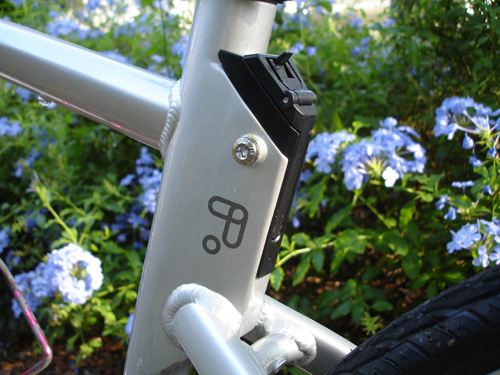 Jango, a subsidiary of bicycle accessories juggernaut Topeak, has a pretty neat concept going on, and we were eager to get our hands on their products. 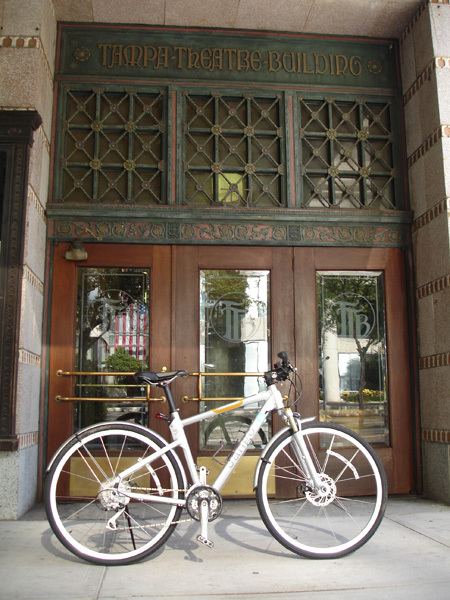 The concept is very cool: what if buying a bike was like going to a car dealer? What if you could walk into a shop, select a bike from a range of models and then select pre-configured “trim packages” or choose dedicated accessories from an extensive menu, all based on your needs? 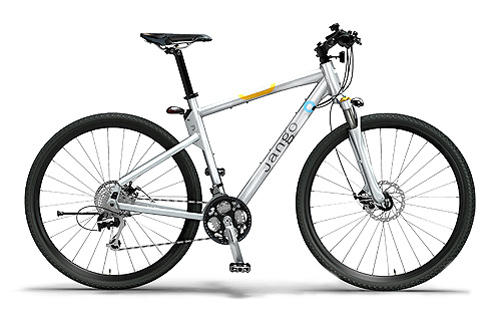 Jango offers seven bike models, nine preconfigured “trim packages” and a list of over 30 unique accessories. That’s a lot to digest! With the bike, we also got a large case of assorted accessories, from cargo-carrying bits to lights, security gear, fenders and a computer. We’re going to have a lot to share, so I’ll try to break things down into a series of articles covering the bike itself, the accessories and the overall experience. In the meantime, check out Jango’s website for a good overview of their concept and their wide range of models, trim packages and accessories. And stay tuned…the test riding has already begun!